Turning Israeli settlers into victims is the prime minister's most staggering act of chutzpah yet. The only mass ethnic cleansing that took place here was in 1948, when some 700,000 Arabs were forced to leave their lands. Israel knows a thing or two about ethnic cleansing. Prime Minister Benjamin Netanyahu knows a thing or two about propaganda. The video he posted on Friday proves both points. Here’s the real thing — yet another record for Israeli chutzpah: The evacuation of settlers from the West Bank (which has never happened, and presumably never will) is ethnic cleansing. Yes, the state that brought you the great cleansing of 1948 and that has never, deep in its heart, given up on the dream of cleansing, and that never stopped carrying out methodical microcleansings in the Jordan Valley, in the South Hebron Hills, in the area of Ma’aleh Adumim and in the Negev, too — that state calls the removal of settlers ethnic cleansing. That state compares the invaders of the occupied territories with the children of the land who clung onto their lands and homes. Netanyahu proved once more that he is the real thing, the most authentic representative of the “Israeliness” that created reality for itself: Turning night into day, shamelessly and without any sense of guilt, without inhibition. In Israel, many people, perhaps a majority, will buy these goods. The settlers of the Gaza Strip became “expellees,” their removal “deportation.” Not only is an aggressive and violent action — settlement — legitimate, but its agents are victims. The Jews as victim. Always the Jews, only the Jews. 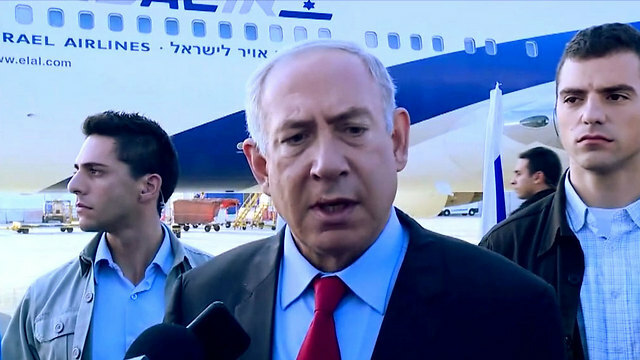 An Israeli prime minister less brazen and arrogant than Netanyahu would not dare to utter the term “ethnic cleansing,” given the plank in his own eye. Few propaganda campaigns would dare go so far. Yet occasionally, reality intrudes. And the reality is razor-sharp. The only mass ethnic cleansing that took place here was in 1948. Some 700,000 human beings, the majority, were forced to leave their homes, their belongings, their villages and the land that had been theirs for centuries. Some were forcibly expelled, put on trucks and removed; some were intentionally frightened into fleeing; still others fled, possibly unnecessarily. They were never allowed to return, save for a few, even if only to recover their belongings. Being barred from returning was worse than the expulsion. It is what proved that the cleansing was intentional. Not a single Arab community remained between Jaffa and Gaza, and all the other areas are scarred with the remains of villages, the vestiges of life. That is ethnic cleansing — there’s no other term for it. More than 400 villages and towns were wiped off the face of the earth, their ruins covered over by Jewish communities, forests and lies. 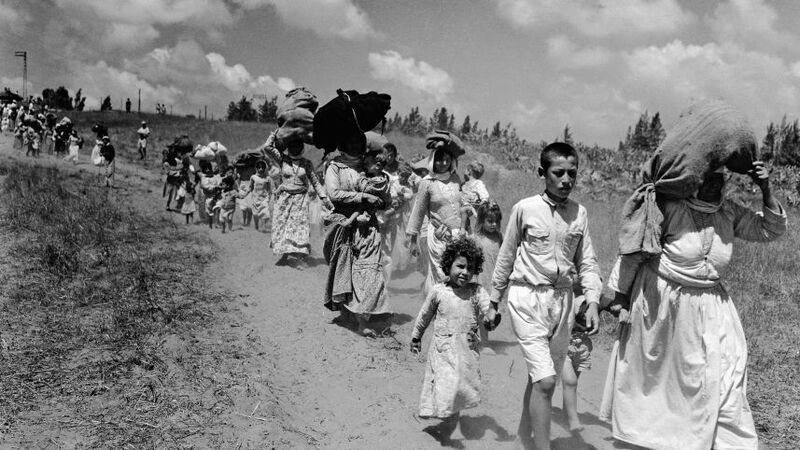 The truth was concealed from Israeli Jews and the descendants of the deportees were forbidden to commemorate them — neither monument nor gravestone, to paraphrase Yevgeny Yevtushenko. The number of settlers now exceeds the number of expellees. They invaded a land that was not theirs, with the support of successive Israeli governments and the opposition of the entire world, and they knew that their enterprise was built on ice. They and the Israeli governments not only crudely violated international law, which earns no respect in Israel. They also broke Israeli law, with the support of a subjugated judiciary. Land theft is even a violation of the law practiced in Israel and the territories. When Israelis, and the world, began to become accustomed to this situation, to accept it as inevitable, along comes the prime minister and takes his chutzpah up one more level: The settlers are actually victims. Not the ones they expelled, not the ones they disinherited of their land. In the reality according to Netanyahu, the settlements that were built for the purpose of precluding arrangements with the Palestinians are not an obstacle, and he equates them with the she’erit haplita — the remnants of the Palestinians that remained in Israel, to borrow a term from the aftermath of the Holocaust. Language can be twisted to any use, propaganda to any moral perversion. Farewell, reality, you’re not relevant here anymore. In response to Israeli Prime Minister Benjamin Netanyahu's Friday video equating the Palestinian leadership's desire for a Jew-free state to be ethnic cleansing, the Palestinian president lashed out in reply. Palestinian President Mahmoud Abbas addressed on Sunday night Israeli Prime Minister Benjamin's Netanyahu's online video that claimed that opposing the presence of Jews in the West Bank is support of ethnic cleansing. Abbas said, "The government of Israel is carrying out ethnic cleansing and deliberately killing—acts that have exposed it to international criticism all over the world." The president criticized Israeli policy, "We are not isolated, like the Israeli government is trying to present us. The government of Israel is the actually isolated one in the international stage because it isn't interested in continuing on the path of peace, continues the settlement industry and damages the holy sites." Netanyahu's video, which he released in English on Friday via his Facebook page, shows him explaining, "The Palestinian leadership actually demands a Palestinian state with one pre-condition: No Jews. There's a phrase for that: It's called ethnic cleansing. And this demand is outrageous." Abbas has stated that a future Palestinian state would not permit a single Israeli settler to live within its borders. After viewing the video clip that was circulated on social media, US State Department spokeswoman Elizabeth Trudeau said at a briefing in Washington that the Israeli leader's words were "inappropriate and unhelpful." "We obviously strongly disagree with the characterization that those who oppose settlement activity or view it as an obstacle to peace are somehow calling for ethnic cleansing of Jews from the West Bank. We believe that using that type of terminology is inappropriate and unhelpful," she said. Trudeau added in her briefing that the United States feels the settlement policy raises "real questions about Israel's long-term intentions in the West Bank." The national bureau for defending the land and resisting settlement has strongly denounced Israeli premier Benjamin Netanyahu for defending the presence of settlements in the West Bank and comparing their residents to the Palestinian Arabs in Israel. In a report on Saturday, the national bureau also condemned the head of the Israeli municipality in Jerusalem Nir Barkat for bragging, during his recent meeting with Likud officials, about his authority's cooperation with the police and the Shin Bet to punish Palestinian families in east Jerusalem, whose relatives are accused of carrying out attacks against Israelis. It also warned of Israel's intents to use military orders extensively to seize Palestinian abandoned property in the West Bank in order to build or expand settlements. 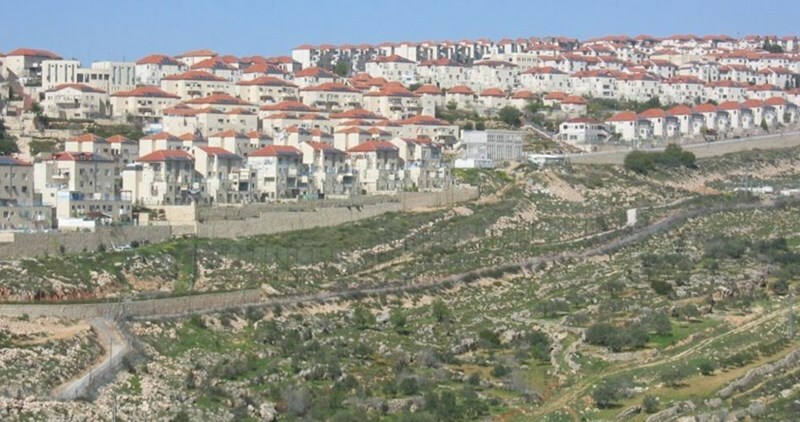 The national bureau appealed to the international community to swiftly intervene to pressure the Israeli government to halt its settlement expansion activities in the occupied Palestinian territories. The Israeli municipality in Jerusalem has seized a vast tract of Palestinian land in Jabel Mukaber neighborhood, east of the holy city, for the construction of a synagogue and a ritual pond for Jewish settlers from Nof Zion settlement. According to Iroshalim newspaper, the Jerusalem district planning and building committee had already sanctioned a plan to annex the land for the building of the synagogue and pond. According to councilwoman Laura Wharton, the seized land is for the building of a synagogue and mikveh (Jewish ritual purification bath). The land seized is private land, though the identity of the owners is clear. "Tens of thousands of Palestinians living near Nof Zion are short of classrooms, kindergartens, public parks, community centers and basic services. 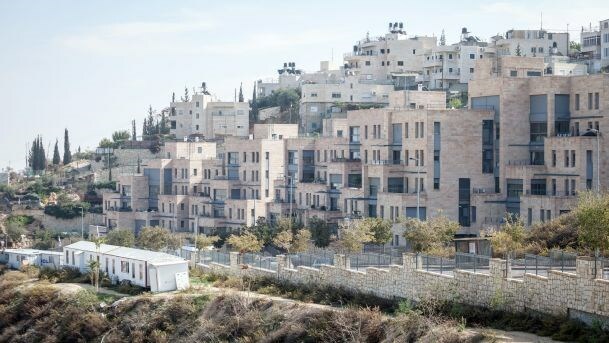 The city adds to its sins by advancing construction plans for new residents while failing to permit construction for the Palestinians," said Wharton, a member of Jerusalem's city council. "All Israeli citizens are paying for the expropriation of land for a small number of settlers, who move into Palestinian areas which none of the world recognizes as Israeli territory," she added. Israeli Prime Minister Benjamin Netanyahu on Friday said the Palestinians wanted to form a state devoid of a Jewish population and termed it "ethnic cleansing", drawing sharp criticism from the United States. In a video message, Netanyahu said in reference to the removal of Israeli settlements in the West Bank, "The Palestinian leadership actually demands a Palestinian state with one pre-condition: No Jews. There's a phrase for that: It's called ethnic cleansing. And this demand is outrageous." Palestinian President Mahmoud Abbas has stated that a future Palestinian state would not permit a single Israeli settler to live within its borders. Most countries view Israeli West Bank settlements as illegal and an obstacle to peace. Israel rejects this, saying Jews have been living in the territory for thousands of years. Last week, after Israel approved the building of 284 new housing units in West Bank settlements, the United States said the policies could expand settlements in a "potentially unlimited way." US officials said the criticism from the US State Department marked the first time it has suggested in public that Israel may be moving towards unlimited settlement expansion on land the Palestinians seek for their state. The US officials, who spoke on condition of anonymity, said the latest language was unusually strong but reflected a change in tone rather than any major shift in US policy. Today Israeli Prime Minister Benjamin Netanyahu posted another of his English language videos about the conflict. This one said that those who want to create a Palestinian state are seeking “ethnic cleansing” of Jews from the occupied territories, and some enlightened countries are supporting this program. Yet the Palestinian leadership actually demands a state with one precondition: No Jews. There’s a phrase for that, it’s called ethnic cleansing. And this demand is outrageous… Some otherwise enlightened countries even promote this outrage. Ask yourself this, would you accept ethnic cleansing in your state, a territory without Jews, without Hispanics, without blacks? Since when is bigotry a peace?… I think what makes peace impossible is intolerance of others. And the State Department was quick to slam the prime minister today, and it included descriptions of the actual ethnic cleansing, that of Palestinians. Shades of a new assertiveness by the Obama administration in its waning days? MS [Elisabeth] TRUDEAU: So we have seen the Israeli prime minister’s video. We obviously strongly disagree with the characterization that those who oppose settlement activity or view it as an obstacle to peace are somehow calling for ethnic cleansing of Jews from the West Bank. We believe that using that type of terminology is inappropriate and unhelpful. Settlements are a final status issue that must be resolved in negotiations between the parties. We share the view of every past U.S. administration and the strong consensus of the international community that ongoing settlement activity is an obstacle to peace. We continue to call on both sides to demonstrate with actions and policies a genuine commitment to the two-state solution. We have repeatedly expressed our strong concerns that trends on the ground continue to move in the opposite direction. Let’s be clear: The undisputed fact is that already this year, thousands of settlement units have been advanced for Israelis in the West Bank, illegal outposts and unauthorized settlement units have been retroactively legalized, more West Bank land has been seized for exclusive Israeli use, and there has been a dramatic escalation of demolitions resulting in over 700 Palestinian structures destroyed, displacing more than 1,000 Palestinians. As we’ve said many times before, this does raise real questions about Israel’s long-term intentions in the West Bank. QUESTION: So you’re not a big fan of the video, I take it? QUESTION: So have you made your – not you personally, but has the Administration made its feelings clear to – other than your comments just now to the Israelis? MS TRUDEAU: Yes. We are engaging in direct conversations with the Israeli Government on this. MS TRUDEAU: I’m not going to get into our diplomatic discussions. What I would say is: unhelpful, it’s inappropriate. We’ll have our conversation with our Israeli allies and friends and we’ll see where that goes…. Notice the reference to Israeli house demolitions and displacement of 1000 Palestinians. That’s a start. Reports from Russia on Thursday claimed that there is a real possibility for a meeting between Prime Minister Benjamin Netanyahu and PA Chairman Mahmoud Abbas in Moscow. However, officials in Jerusalem are in no hurry to book their plane tickets. "There was also an agreement in principle before, but Abu Mazen didn't remove the preconditions. Drop the preconditions and come," said a source. "In light of the fact that there are still preconditions, there is nothing for now." Russian Deputy Ambassador to Israel Alexey Drobinin also confirmed that there is a meeting in principle between Jerusalem and Ramallah, however the date and topics of the meeting are not yet on the agenda. "The basic issue the parties will discuss is what needs to be done to get out of the current impasse in the diplomatic process," said Drobinin. "We don't take it upon ourselves to decide the issues that they need to discuss," Drobinin clarified. "This is something that the parties themselves should discuss. The timing of the meeting also depends on the parties themselves. President Putin's proposal stands. Now the parties themselves need to decide when they're ready to come." In an answer to the question of the agreement to meet in principle simply being an illusion that both parties have sold to Russia, Drobinin responded, "We have no illusions. It is certainly possible that in the end there will be no meeting." At a press conference in the Netherlands, Prime Minister Netanyahu addressed the Palestinian claim that Abu Mazen agreed to the meeting, while Netanyahu rejected it. "I am ready to meet with Abu Mazen at any time without preconditions for direct talks. It's something I've said a hundred times and I'm repeating it here. I'm not picky about the place, it can be in the Netherlands or in Moscow, no problem. It can certainly be Moscow. I've said that to President Putin and I've said it to the Russian envoy Bogdanov. 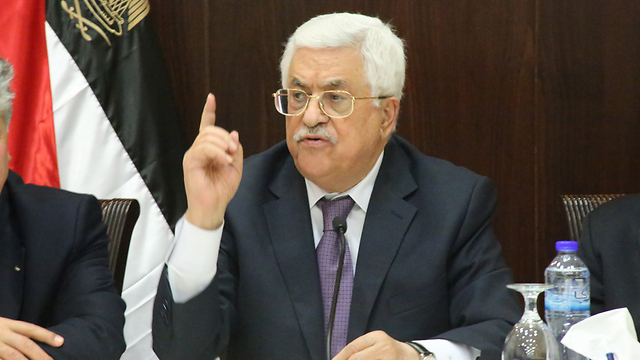 "The main question is if Abu Mazen is ready to meet without preconditions. We hear conflicting versions. Just yesterday, a Palestinian spokesman made it clear that they are willing to meet, but they have conditions such as the release of prisoners and they want to know in advance what the results of the talks will be. If Abu Mazen wants to meet without preconditions for direct talks, I am ready anytime. I've been calling on him to do it for seven years, so if he agrees, there could be a meeting." The report, released by Russian news agency Interfax, says that the two sides have agreed to a meeting in principle; it is the second of its kind in just three days. The Russian Foreign Ministry says Israeli leaders and Palestinians have agreed, in principle, to meet in Moscow, according to a report by the Russian news agency, Interfax on Thursday. No date was given by the agency for the possible meeting. The report comes just three days after rumors were circulated by the agency that Abbas had agreed to meet with Netanyahu in Russia for direct talks. The initial report on Monday came just hours after Netanyahu's office said the prime minister was considering an offer by Russian President Vladimir Putin to host the talks between the Israeli leader and Abbas. The last round of direct negotiations between Netanyahu and Abbas took place in 2014 but broke down over a string of disagreements. 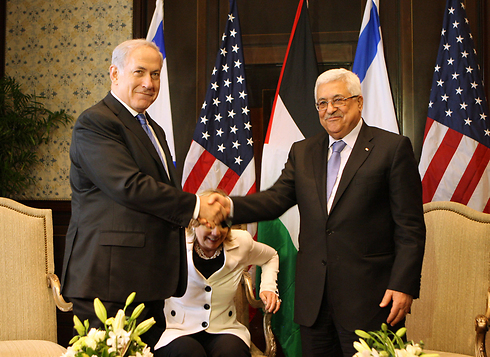 Since then, Netanyahu has repeatedly stated in public that he is willing to meet with Abbas any time, any place. 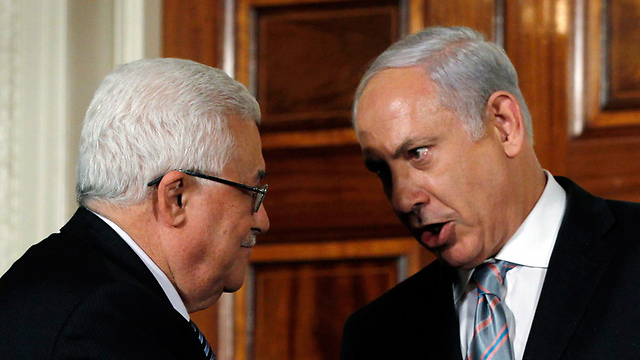 “The central question is whether Mahmoud Abbas is ready to meet without preconditions. We hear conflicting versions. Just yesterday Palestinian spokespersons said that they were ready to meet but that they have conditions—the release of prisoners—and they want to know in advance what the results of the talks will be,” Netanyahu said. According to the first report by Interfax, a the Palestinian ambassador to Russia was quoted as saying that the meeting was supposed to take place on September 9 but that Israel requested that it be delayed. Despite the reported agreement by Abbas and Netanyahu’s repeated calls for renewing negotiations without preconditions, the PA president is insisting that on a construction freeze in the West Bank and a discussion which will establish a timetable for what he describes as “the end of the occupation” prior to the commencement of talks.